Hiring professional cleaners to ensure that your facility stays clean is a smart move, but you also need to know various ways in which you can help maintain the cleanliness in your establishment. This is where entrance mats come in. These mats (also known as walk off mats) come in many different shapes and sizes. If you want your building to stay clean, you need to ensure that there’s an entrance mat at every door. 1) You can’t ask people to take off their shoes. According to studies by ISSA (the Worldwide Cleaning Industry Association), about 80% of all the contaminants affecting any facility comes from the shoes of people in the building. Now you can’t exactly ask your visitors to take off their shoes before they go in any room of the building. By having entrance mats at every door, you ensure that they at least have a way to wipe their shoes before entering and/or walk off some of the debris. 2) Entrance mats guard your establishment from added dust and mud. You may not be able to control what kind of dust and mud goes in but having an entrance mat by the door is a way to guard it from the unnecessary. Say for instance the person came from outside where it’s extra dusty. Having an entrance mat allows that person to remove some of that excess dust so that it won’t go inside your building. 3) You don’t have to worry about rain. Rain is a nightmare for those trying to keep a certain area clean, because with rain comes wet shoes and muddy floors. If you have an entrance mat welcoming each guest at every doorway, you don’t have to worry about rain and getting your floors all muddy. They can simply wipe their shoes clean and dry before entering. 4) It can be useful and decorative at the same time. What some people forget is that doormats don’t have to be plain and ugly. You can be as decorative as you want to be, matching the entrance mat with the decors of your establishment or office or giving your visitors a sneak peek of what they can expect inside. You can even use it as a branding tool by having your logo or company name imprinted on the mat. 5) It’s a way to minimize slip hazards. According to the National Floor Safety Institute in this paper, “more than 3 million food service employees and over 1 million guests are injured annually as a result of restaurant slips and falls.” Clearly, slipping is a danger that’s quite common. 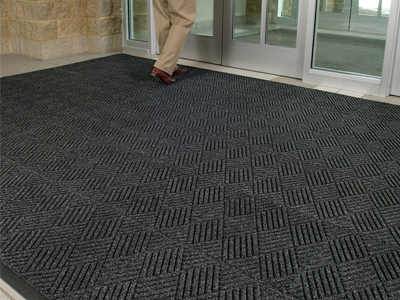 With an entrance mat at every doorstep however, you can easily minimize the risk of people slipping as they navigate their way into your building. 6) You can prevent floor damage. With well-placed entrance mats, you can also prevent interior floor damage by protecting your floor surfaces. It’s not just the people that you protect from accidents, you protect your facility as well. 7) It can help you with bacteria regulation. Some doormats can actually be infused with microbe-killing powers that can help you with bacteria regulation. So not only do you keep your rooms clean as far as your eyes can see, you also keep them clean even on a microorganism level. 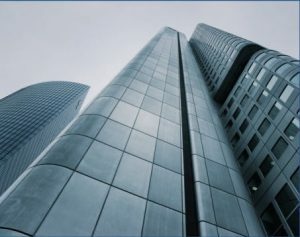 Call DBS Building Solutions for all your commercial cleaning needs. We Service RI, MA, CT, and NJ. Call Today. Spring shouldn’t be the only time for a thorough office cleaning. Unfortunately the official first day of autumn is tomorrow, September 23rd and as much as we’ll miss summer pool parties, BBQ’s, and drinks on the deck, there’s something special about the turning leaves and crisper, cooler temperatures. Springtime shouldn’t be the only season to focus on good quality cleaning. Take advantage of the extra time you spend inside during the shorter days. Remember these fall cleaning tips for your office, to start an enjoyable and healthy holiday season. If you spend more time on the computer while at home, remember to wipe down your electronics such as your keyboard, mouse and monitors. If you know your way around computer parts, dust the CPU fan as it can get pretty dusty (office-dwellers, do this too!). For many, the fall season conjures up images of Thanksgiving meals and lots of leftovers. Don’t forget to focus on germ hot spots throughout your office kitchen if you plan on having holiday parties . Don’t know what germ hot spots are? Click here for a list. Best to get your carpet or hard floors professionally cleaned before the hustle and bustle of the holidays. Your floors might need special care depending on the traffic in the office. If you’re unpacking decorations from your storage closet, that’s the best time to take a look around at places you usually don’t clean. Do you have a dust problem, dirty vents or extra cobwebs? See if your cleaning plan includes these problem areas and if not, contact your local cleaning professionals so they can take care of it for you. Vacuuming is an important step to annual or bi-annual cleaning, especially when it comes to your indoor air quality. We strongly suggest using a HEPA filtration vacuum. HEPA filters can remove up to 99.97% of particles as small as .3 microns (very small). There are lots of other areas to keep you busy while you clean up, including your lobby area, windows, random storage closets and various fixtures around your office or facility. If you’re pretty disgusted by what you see in the nooks and crannies of your home or office, contact us to find your nearest DBS Building Solutions. With winter on it’s way there are several steps you can take to do your part in reducing the transmission of disease in the workplace, according to the CDC. But the most important step is also the simplest: hand washing! But if you’re the owner or the manager, then it’s not just your own hand washing that you should be concerned about. You should also take steps to ensure that your employees follow your example. So, What’s the Importance of Hand Washing? Hand washing is perhaps the single most effective way to reduce the transmission of various infectious diseases, from the common cold to more serious ailments such as influenza. You can spread disease when you touch another person. Sometimes you don’t even need direct contact. You can touch an object handled by a sick person who hasn’t washed their hands, and then get sick yourself. It’s one of the more common ways that germs such as viruses and bacteria spread from one person to another. Get your hands thoroughly wet with running water. Place the soap in your palm and rub them together to make lather. Scrub your hands vigorously for at least 20 seconds before you rinse the soap off your hands. Turn off the faucet with a disposable paper towel. Do not use your clean hands to touch the faucet. Dry your hands with the disposable paper towel. Do not dry them on your clothes. If you own or manage a business, you need to make sure that all your employees are aware of the proper steps for hand washing. Put up some posters in the restroom if you have to. 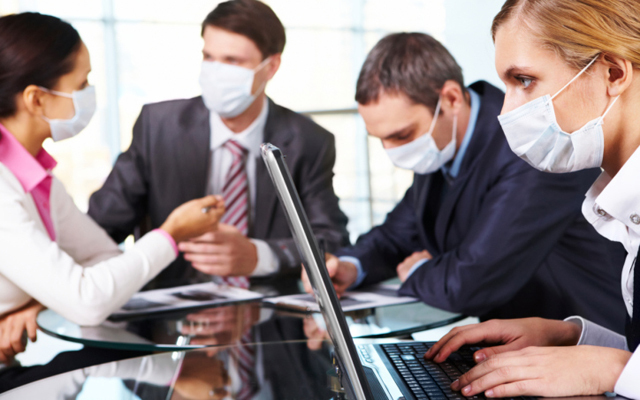 Unfortunately, it’s very common to have ailments such as the common cold spread all over your office, simply because just one person skipped hand washing at a critical time. That’s why the services of commercial cleaners have become highly sought after. These professionals are experienced in identifying the most common items (such as doorknobs and faucets) which can harbor germs. These pros can do it much effectively than probably anyone in your office can, because they have the tools and knowledge. With professional services, at least you know you’re doing things right, and that you’ve done all that you can in ensuring the safety and health of your personnel. DBS Building Solutions can handle all of you commercial cleaning needs in RI, MA, CT, & RI. When finding the right commercial Cleaning Service, the owner at DBS Building Solutions Dean DeNuccio explains how you can choose a cleaning service, whether you want maid services, janitorial services, carpet and upholstery cleaning, etc. Maintaining a clean and sanitary office environment is essential to the success of your business. Most companies will hire a professional cleaning service to take care of this rather than hiring a full-time janitor. A cleaning service will usually come in after hours, cleaning all areas of your office. You’ll probably find several office cleaning companies in your city, so you’ll have to choose the one that’s right for you. Though you may be looking to save money, the company with the lowest cost isn’t always the best deal. Get price quotes from the companies in your area. The companies will have to visit your office to estimate the work. When you get this quote, ask for a list of services that they provide. Most will provide mopping, vacuuming, cleaning, and sanitizing of the bathroom and dusting. Some may provide carpet cleaning a few times a year, but it may or may not be included in the quoted price. Read through the contract. Most companies will want you to sign a contract, locking you into their service for a given amount of time. However, you need recourse if you aren’t happy with the service that the company is providing. For example, you may want to look for a company that has a trial period or one that goes on a month-to-month contract rather than a yearly contract. Consider the experience of the company. Some companies will have years of experience behind them, which means that you can be sure that they’ve developed a system for cleaning and are comfortable handling any cleaning issues involved. All other things being equal, choose the company with more experience.